Phi Phi Island information comes from a variety of sources but perhaps the most valuable source of Phi Phi Island information is from phi-phi.com's forum where visitors to the island post information to help other visitors and would-be visitors maximize their time on this amazing island. 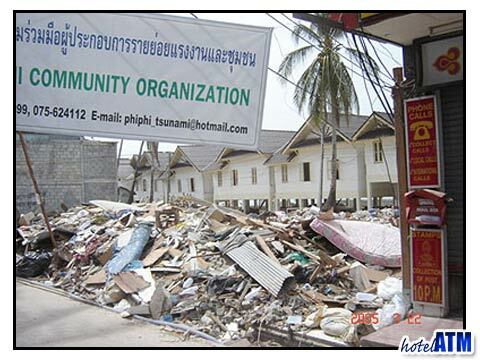 The Phi Phi Island restaurants are great and which to avoid. You will learn what Thai dishes to order and which dishes you should keep as far away from you as possible if you don't want 20 chilies on your plate! A destination like Phi Phi Island has many choices and you want to find out the best choices for all of them. If you like to dive you can find out on the forum what Phi Phi dive centers are the best to take a PADI course and which are overpriced. You can even lean about specific instructors and dives so you can make an informed decision and maximize every minute of your Phi Phi holiday. People appreciate the Phi Phi Island reviews on the website because they are honest and unedited. If a visitor hated a hotel or resort you will hear about it on the forum. If their room was dirty or their food was lousy you will know about it and can avoid that hotel or restaurant. Generally the information will help you plan what to do rather than what not to do since the majority of people who visit Phi Phi Island fall in love with it and all that it has to offer. They want other people to love their Phi Phi holiday and give great information and share photos and specific information. You can find out who to ask for at different beaches, where to shop, what to buy, what to pay for things, etc. This information is invaluable and people are encouraged to share information openly and honestly on the forum so future travelers and return visitors can benefit from the collective information. Why read what a hotel has to say about itself when you can read about what actual visitors have thought about the hotel? The Phi Phi Forum allows travelers to share information with other travelers and those are the very best of all Phi Phi Island reviews. The Phi Phi Forum was turned off in January 2012. The official Phi Phi forum.